Valentine’s Day is in February, which just so happens to also be American Heart Month. The Centers for Disease Control and Prevention (CDC) suggests using the holiday as an opportunity to take stock of your heart health. A history of heart disease in your family might increase your risk of heart disease. However, the CDC notes that you can balance that risk with heart-healthy strategies. Exercise, weight management, and prevention or control of high blood pressure, high cholesterol and diabetes can all lower your heart disease risks. 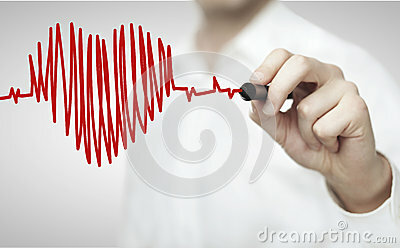 Heart disease is often preceded by other conditions. Type 2 diabetes, for instance, occurs when people become resistant to insulin, the hormone that regulates blood sugar. Diabetes is also known to increase your risk of heart disease, according to the CDC. People with high blood pressure are more prone not only to heart problems but also to strokes. These problems often take years to develop. That slow lead time may mean patients have opportunities to nip these conditions in the bud. Regular medical checkups and screening tests can identify trends that could mean you’re at risk. Ask your doctor how often you should be tested and what tests are recommended. Deepika Gopal, MD, a cardiologist at the Baylor Heart Hospital in Plano, TX, pointed dailyRx News in the direction of some heart-healthy Valentine's Day tips from the American Heart Association (AHA). Among the tips Dr. Gopal highlighted was one suggesting that you use Valentine's Day as a chance to tell your loved ones what they mean to you and how much you care about their health. Then, you can share ways to promote each other's health, such as by getting a checkup. Your daily habits can have an effect on your heart. Smoking, for instance, increases your risk of heart disease, stroke and lung cancer. So, if you smoke or use any tobacco product, stop, Dr. Gopal said. Classes to help patients quit smoking are widely available. Your doctor may be able to prescribe medications to help you quit, too. If your sweetheart smokes, gently encourage him or her to quit. Secondhand smoke can be harmful, so if either of you has risk factors for heart disease, both should avoid people who smoke. Although alcohol in moderation may have some heart-protective effects, too much can increase your risk of many health conditions. Among these are liver disease and high blood pressure. Two drinks a day for men and one for women is the limit, according to the CDC. Did you know that the right kind of chocolate may be heart-healthy? That’s good news for Valentine’s Day gift-givers and chocolate lovers. Beth Israel Deaconess Medical Center (BIDMC) notes that compounds called flavonoids in chocolate have antioxidant effects. Antioxidants help control cell-damaging free radical molecules in the body, which can damage the heart and up cancer risk. Choose the darkest chocolate you can find, as it has more flavonoids, according to the BIDMC. Avoid additions like nuts, caramel or nougat, as these may add extra sugar, fat and calories. And don’t go overboard. A serving of chocolate is about 2 ounces, and you shouldn’t eat more than one serving a day. Other heart-healthy diet strategies include lots of fresh vegetables and fruits and limited sugar and salt, according to the CDC. Dr. Gopal suggested using oils that are low in cholesterol, saturated fats and trans fats, such as olive oil, to cook dinner for your sweetie. Stress can be a downer — in more ways than one. Stress can cause depression, tense or sore muscles and anxiety, according to the AHA. Stress can also increase the risk of high blood pressure if you cope by eating too much, smoking or using alcohol. Stress relievers include exercise, which also improves your heart health, according to the CDC. The AHA also notes that loving interactions with family and friends can help relieve stress — a good reason to spend Valentine’s Day with people you care about.